A 29-year-old woman from Khyber Pakhtunkhwa has become the first Pakistani female to join the Bomb Disposal Unit in the restive province that frequently witnesses terror attacks. 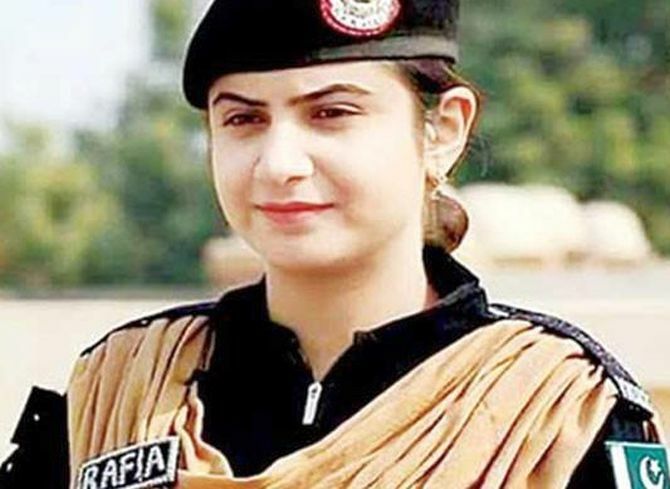 Rafia Qaseem Baig, who joined the police force as a constable seven years ago, will work in BDU after completing her 15-day training along with 31 other male members at Nowshera’s School of Explosive Handling, media reports said. Given her academic qualifications, she was offered jobs in many companies and non-government organisations. However, she chose to join the police force in Khyber Pakhtunkhwa province when extremists were overtly targeting security forces. Rafia was also the only female member of an investigation team that rescued Lady Reading Hospital physician Dr Intikhab Alam 48 hours after his abduction in 2010. She says the police force is not just a profession. It’s a passion and inspiration for those who have a spirit of devotion for the country.